Street Food Sundays will return with the opportunity to try a different cuisine every Sunday from 12pm – 5pm along with live music, traditional dancing and themed kids craft. Loads of free workshops and classes in the park this week, with everything from yoga and pilates sessions to lunchtime music and free sports and arts workshops for the kids. It’s also a great space just to hang out – to catch up with friends, relax over a coffee or let the kids burn off some energy with the free lawn games. 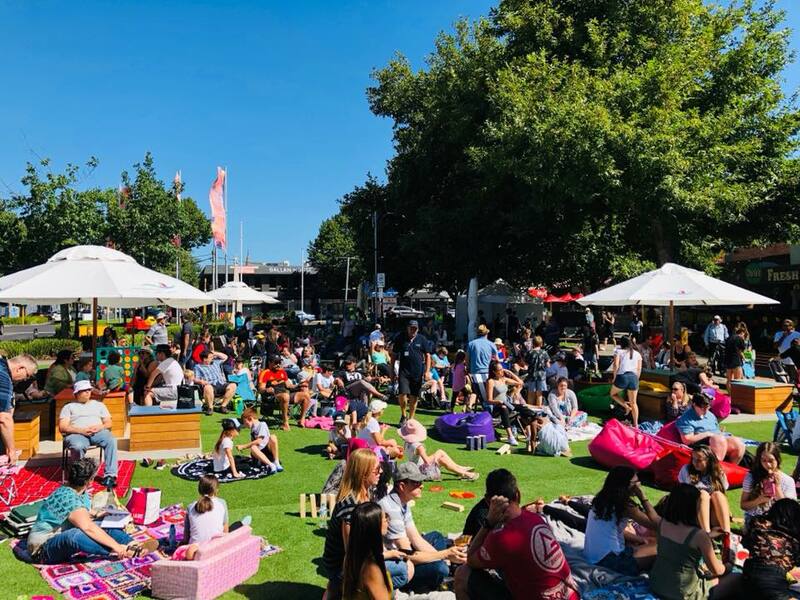 A green city oasis, one of the best in Melbourne’s west – with comfy deckchairs, umbrellas and lawn games, the Pop Up Park is your must-do this summer – perfect for lunch breaks, coffee dates and all-ages, family fun.